Mantua, 27 February 2017 – At a meeting today chaired by Roberto Colaninno, the Board of Directors of Piaggio & C. S.p.A. examined and approved the 2016 draft financial statements. In 2016 the Piaggio Group reported positive performance, with improvements in all the main indicators and a reduction in debt compared with 2015. Group consolidated net sales in 2016 totalled 1,313.1 million euro, an improvement of 17.8 million euro and 1.4% (+2.8% at constant exchange rates) from 1,295.3 million euro in 2015. The industrial gross margin at 31 December 2016 was 389.2 million euro, up by 3.9% (+4.9% at constant exchange rates) from 374.4 million euro in 2015. The return on net sales was 29.6%, up from 28.9% in 2015. Operating expense in 2016 was 328.3 million euro (317.7 million euro in 2015). Operating expense includes amortisation and depreciation of 74 million euro not included in the industrial gross margin (68.1 million euro in 2015). The changes in the income statement described above generated consolidated EBITDA of 170.7 million euro, an increase of 5.6% and the best figure reported since 2013 (7% at constant exchange rates) from 161.8 million euro in 2015, and an EBITDA margin of 13% (up from 12.5% at 31 December 2015). EBIT in 2016 amounted to 60.9 million euro, up 7.4% from 56.7 million euro in 2015. The EBITDA margin was 4.6% (4.4% in 2015). At 31 December 2016, the Piaggio Group posted profit before tax of 25.5 million euro, up 26.9% compared with 20.1 million euro in 2015. Income tax for the period was 11.5 million euro, with an impact on pre-tax profit of 44.9%. 2016 closed with net profit of 14 million euro, an increase of 18.3% compared with 11.9 million euro in 2015. Net financial debt at 31 December 2016 stood at 491 million euro, an improvement of 7.2 million euro from 498.1 million euro at 31 December 2015. Operating cash flow for the year was up to 123.4 million euro at 31 December 2016, an increase of 13.6 million euro from 109.8 million euro in 2015. Group shareholders' equity at 31 December 2016 was 393.7 million euro (404.3 million euro at 31 December 2015). Piaggio Group capital expenditure in 2016 amounted to 96.7 million euro (101.9 million euro in 2015), of which 30.9 million euro for R&D expenditure (31.4 million euro in 2015) and approximately 65.8 million euro for property, plant and equipment, investment property and intangible assets (70.5 million euro in 2015). The total workforce of the Piaggio Group at 31 December 2016 numbered 6,706 employees. The Group’s Italian employees numbered 3,518, substantially unchanged from the year-earlier period. In 2016, the Piaggio Group sold 532,000 vehicles worldwide, an increase of 2.4% from 519,700 in 2015. At geographical level, sales generated revenue growth in the EMEA area and the Americas (+5.7%), which more than counterbalanced the decrease reported in India due to a negative exchange-rate effect (-4.1%; -0.1% at constant exchange rates) and in Asia Pacific (-5.3%; -4.8% at constant exchange rates). 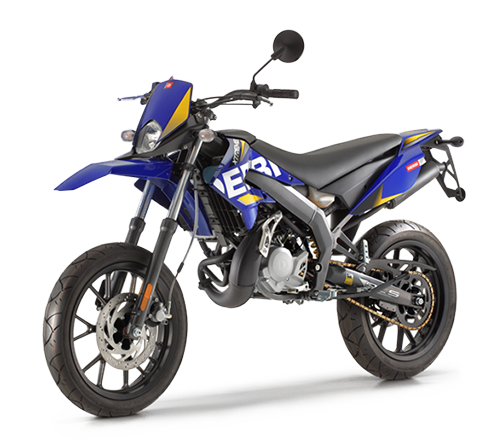 In 2016, the Group sold 344,000 two-wheelers worldwide (up 6.7% from 322,500 in 2015), generating net sales of 916.5 million euro, an improvement of 3.6% from 884.9 million euro in 2015. The figure includes spares and accessories, on which turnover totalled 124.5 million euro (a slight increase from 2015). 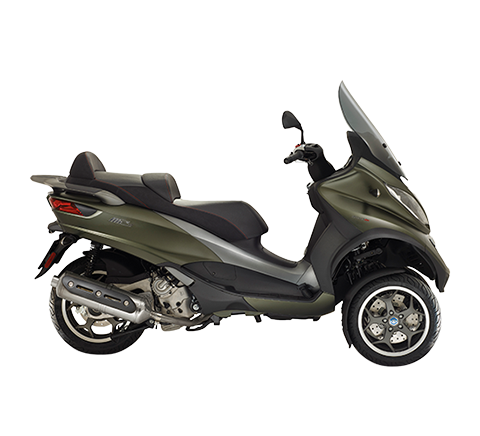 In 2016 the Piaggio Group continued to strengthen its leadership of the European two-wheeler market, with an overall market share of 15.4% (15.2% in 2015), and 25.4% (24.1% in 2015) in the scooter sector alone, with a lead of more than 12 percentage points from the second competitor. On the Indian two-wheeler market, the Group reported volume growth of almost 40%, thanks in part to the introduction of the new Aprilia SR 150 scooter, which was warmly received. Still in Asia, the Group recently entered the motorcycle market in Thailand with the introduction of the Aprilia and Moto Guzzi brands, flanking the already consolidated offer in the scooter sector with the Vespa and Piaggio brands. The Group maintained a particularly strong presence on the North American scooter market, with a share of 20.1%; it also intends to strengthen its position in motorcycles in North America. 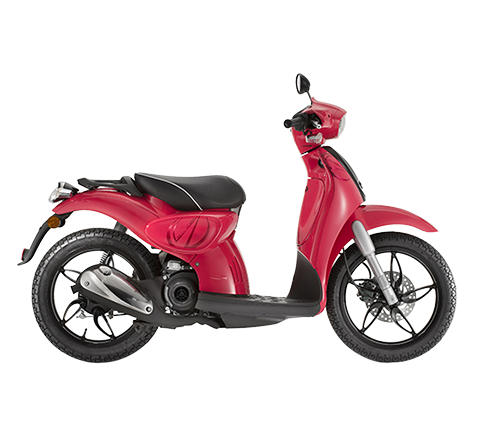 In the scooter segment, attention is drawn to the results of the Piaggio Group in the high-wheel segment, where global revenues made strong progress, largely thanks to the Beverly and the new Piaggio Medley ABS, which has boosted market share for Group vehicles since entering the segment. 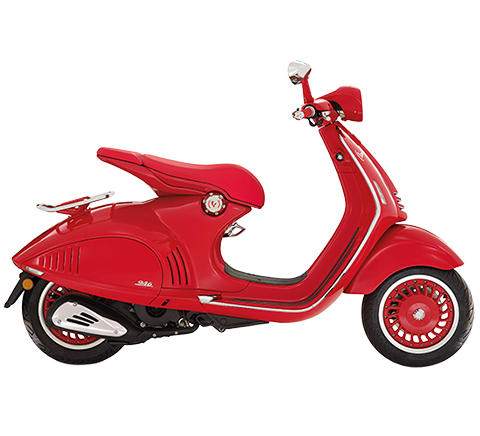 The Vespa brand strengthened its presence on the EMEA market, with revenues up by 5.6%. 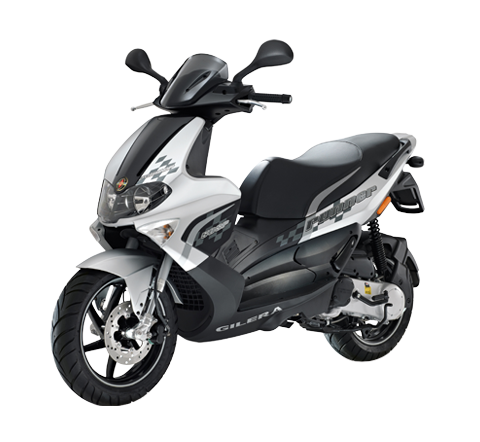 Good performance was also reported for the Aprilia brand, which in August made its debut on the Indian scooter market (the world’s largest market with annual sales of more 5 million vehicles) with the Aprilia SR 150 sports scooter. The Group motorcycle sector also reported healthy performance, thanks to a 13% increase in Moto Guzzi sales, assisted by the new V9 Roamer and Bobber and by the MGX-21, the large total black cruiser, which had its world preview in August at the 76thSturgis Motorcycle Rally to a warm reception from users and the international media. 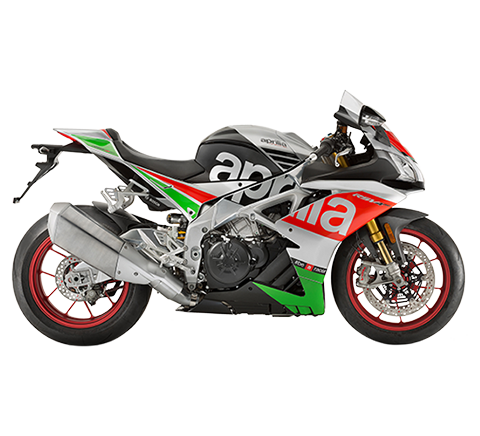 Analysis of the Aprilia brand reflects in particular the growth of the supersport models in the Tuono V4 range, which reported a 24.8% increase in sales, and steady sales performance for the RSV4 1000 line. In the commercial vehicles sector, the Group sold 188,000 vehicles (197,200 in 2015) for net sales of 396.6 million euro (410.4 million euro in 2015). The figure includes spares and accessories, where sales totalled 44.5 million euro (+4% from 42.7 million euro in 2015). On the Indian market for three-wheel commercial vehicles, the PVPL subsidiary had an overall share of 28.9% and confirmed its leadership in the Cargo segment with a market share of 50.7%. The Group also strengthened its presence on high-potential markets such as Latin America, Africa and Asia, with the expansion of the distribution network to 23 countries, and further growth planned for 2017. In 2016 the PVPL production hub also exported 18,700 three-wheel commercial vehicles worldwide. These sales arose in part in the EMEA and Americas area and in part in the India area, in connection with responsibility for management of the individual markets. On 10 October, as part of its plan to expand and strengthen its presence in Latin America and South America, the Piaggio Group began marketing the new Ape City and Ape Romanza versions of the Ape van (for passenger transportation), in countries with high potential. On 8 November, at the EICMA international tradeshow in Milan, the Piaggio Group held the world preview of the Vespa Elettrica project, confirming its commitment to development of alternative low-emission mobility solutions. Production and marketing of Vespa Elettrica are scheduled for the second half of 2017. 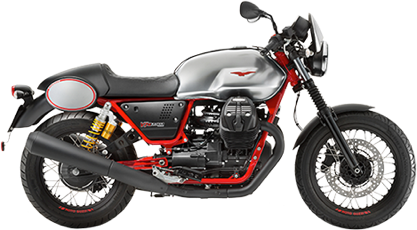 Also at EICMA, the Group presented a number of new products, including the Moto Guzzi V7III, developed to mark the 50th anniversary of the debut of the first V7 model, the Moto Guzzi V9 MY 2017 and, for the Aprilia brand, the Shiver 900 and the Dorsoduro 900, two new motorcycles offering enhanced performance compared with the previous versions, developed in line with the Noale tradition. On 1 December, John Hoke, Vice President Global Design of Nike Inc., was coopted to the Advisory Board of Piaggio Fast Forward (PFF). As global director of Nike product design, Hoke is considered one of the most innovative minds in applied design for technology. On 30 December the Piaggio Group announced it had signed two bilateral unsecured medium-term loan agreements for a total of 45 million euro, with Banca Popolare di Milano and Banca del Mezzogiorno-Mediocredito Centrale. The two new credit facilities are part of the constant action taken by the parent to optimise its financial debt structure. On 19 January 2017, the Piaggio Group announced the strengthening of its distribution network after reaching the important milestone of 200 Motoplex stores in Europe, the Americas, Oceania, Asia and India. Launched only two years ago, the Group multibrand stores flank the traditional distribution network. On 24 January, Piaggio & C. S.p.A. announced that as from 1 March 2017 Simone Montanari would be Group CFO, replacing Gabriele Galli. On 2 February, the GITA and KILO projects were presented in Boston, the first initiatives developed by Piaggio Fast Forward (PFF). GITA is a smart autonomous vehicle designed to assist people. It carries up to18 kg, observes and communicates. It can follow a person, reaching a speed of 35 km/h, and can move autonomously in a mapped environment. Its spherical shape and clean design are distinguishing characteristics of its personality. KILO is GITA’s “big brother”, with a 120 lt loading capacity for weights up to 100 kg. It offers outstanding stability, thanks to its three wheels. The two projects reflect the Group’s exploration of future-oriented developments in mobility and the broadening of its vision to technological solutions ranging way beyond its current core business. On 15 February, the Piaggio Group entered the Thai premium motorcycle market with the Aprilia and Moto Guzzi brands thanks to the opening of Motoplex Bangkok, its largest flagship store in South East Asia and one of the largest Motoplex outlets in the world, with a huge offer available in a single location. In 2016, the parent reported net sales of 788.4 million euro and net profit of 14 million euro. The Board of Directors will ask the shareholders to approve distribution of a gross dividend of 0.055 euro per entitled ordinary share (0.05 euro for financial year 2015), equivalent to euro 19,698,450. The ex dividend date (coupon no.10) is 24 April 2017, the record date is 25 April 2017 and the payment date is 26 April 2017. With regard to technology, the Piaggio Group will continue research into new solutions for current and future mobility needs, thanks to the work of Piaggio Fast Forward (Boston) and new frontiers in design at PADc (Piaggio Advanced Design center) in Pasadena. In Europe, the Group R&D centres with a more traditional approach to new product development and production start-ups, will work on technologies and platforms that enhance the functional and emotional aspects of vehicles, through continuous advances in power trains, in particular electric power trains, where Piaggio boasts a pioneering tradition dating back to the mid-1970s. At a more general level, the Group maintains its constant commitment – a characteristic of recent years and continuing in 2017 – to generate higher productivity through close attention to cost and investment efficiency, in compliance with the ethical principles adopted by the Group. At today’s meeting, the Board of Directors agreed to present to the shareholders’ meeting a proposal for the renewal of the authorisation for the purchase and sale of own shares granted by the Annual General Meeting of 14 April 2016, which is due to expire on 14 October 2017. The proposal aims to provide the company with a useful strategic investment opportunity for the purposes allowed under law, including the purposes contemplated in art. 5 of EU Regulation 596/2014 (Market Abuse Regulation, hereinafter “MAR”) and in the practices allowed under art. 13 MAR, and also for purchases of own shares for subsequent cancellation. As of today, the number of own shares in portfolio stands at 3,054,736, representing 0.846% of share capital. The Piaggio & C. S.p.A. Board of Directors carried a resolution to propose to shareholders the cancellation of 3,054,736 own shares in portfolio (representing 0,846% of share capital), without variation to current share capital. The presentation of the financial results as at and for the year ended 31 December 2016, which will be illustrated during a conference call with financial analysts, is available on the corporate website at www.piaggiogroup.com/it/investor and on the “eMarket Storage” authorised storage mechanism on the website www.emarketstorage.com. The Piaggio Group consolidated income statement, consolidated statement of financial position and consolidated statement of cash flows as at and for the year ended 31 December 2016 are set out below.